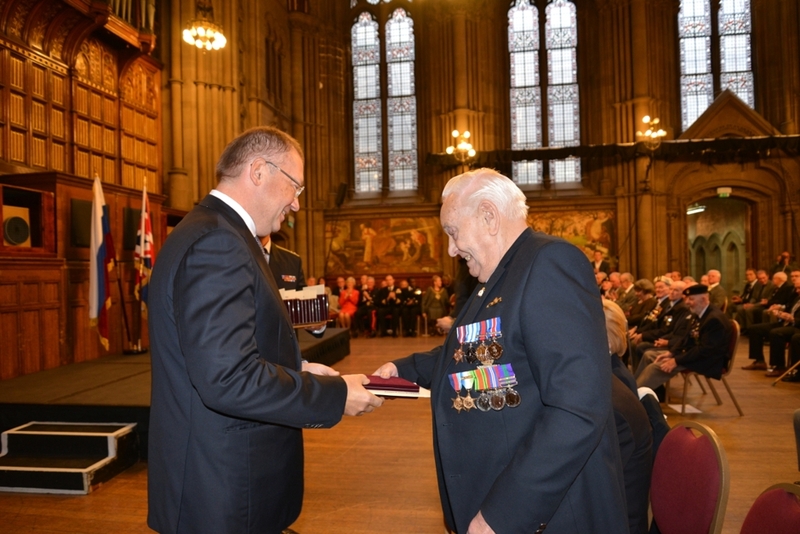 In a Manchester Town Hall ceremony Russian Ambassador Alexander Vladimirovich Yakovenko paid tribute to the crews who were prepared to make the ultimate sacrifice to shorten the war was 70 years ago. 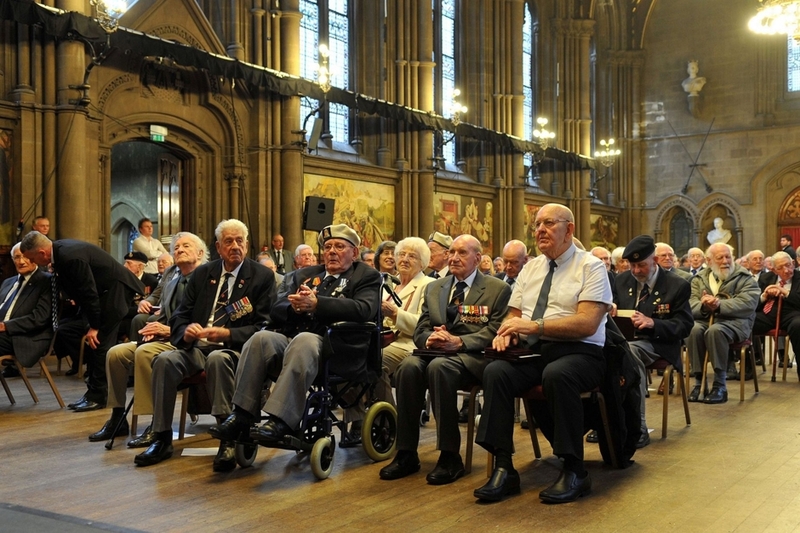 The Lord Mayor of Manchester Cllr Susan Cooley warmly wecomed the 73 veterans and members of their families and several organizations from the Manchester area. Campaigning veteran Herbert Mac Neill has consistantly criticised the government for lack of recognition for The Arctic Convoy Servicement. The 88 year old veteran was devastated to find that he would miss out of the ceremony as he finished up in hospital after a fall. However a special delegation from the Russian Embassy including The Amassador Alexander Vladimirovich Yakovenko cut short the ceremony to visit Herbert at The North Manchester Hospital for a private ceremony. 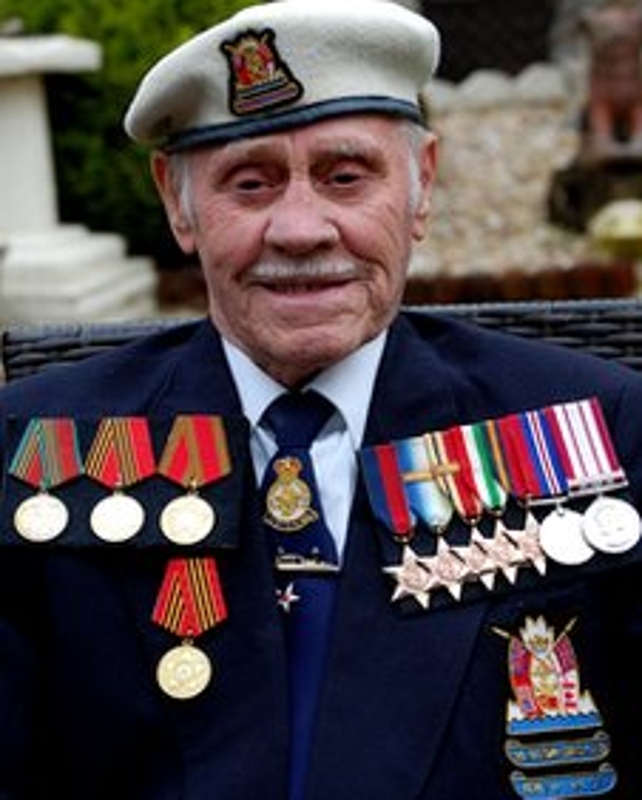 Herbert Mac Neill arctic convoy Veteran. 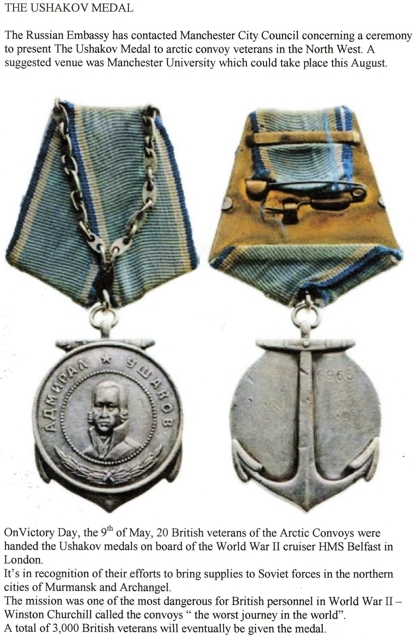 Sadly Herbert passed away less than a week after being presented with The Ushakov medal by Russian officials.